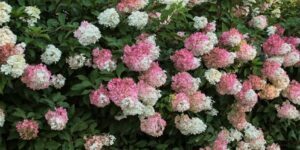 Hot Red For The Cool Shade Cherry red is a perfect color to liven up those shady areas of your garden and nothing is going to deliver that with as much punch as the new Cherry Explosion Hydrangea. 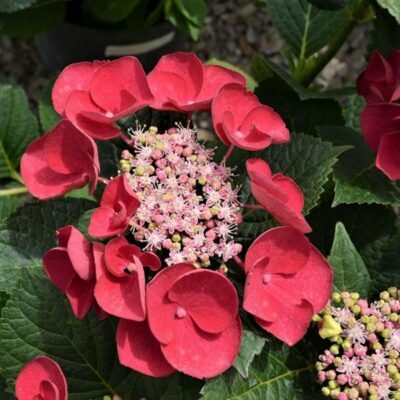 This super hardy macrophylla is covered with cherry red florets – one of the brightest reds available in hydrangeas – surrounding a profusion of tiny light pink star-like flowers in the center. 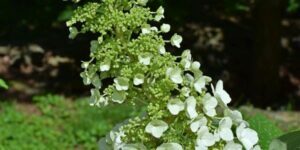 The flowers cover the shrub from top to bottom. 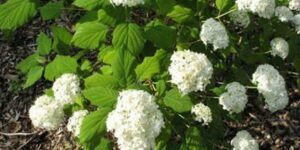 Cherry Explosion does well in a variety of conditions, but likes protection from the hottest afternoon sun. 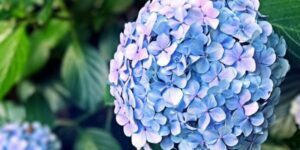 Like most hydrangeas, the color is highly influenced by the soil, If the soil is too acid, the flowers turn lavender. 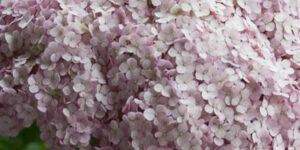 Not to be outdone by the flowers, the foliage puts on a nice show too. Forrest green most of the year, it turns a lovely burgundy in the fall with the onset of cooler weather. Cherry Explosion will dies down over winter, but it comes back every year without fail and bloom like a champ on the new wood. Cherry Explosion only grows to 3′-4′ high but makes a much bigger impact! 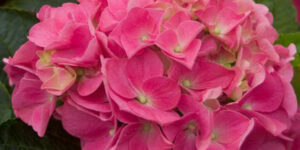 Order this choice hydrangea for your garden today!